Rebekah Plueckhahn is a Research Associate on the Emerging Subjects Team at UCL – Anthropology. This post draws from research that forms part of her book Shaping Urban Futures in Ulaanbaatar forthcoming with UCL Press. Visiting Mongolia in November-December 2017, many people I spoke to were preoccupied with the topic of the current influence of the recently implemented oversight by the International Monetary Fund (IMF) and their influence in numerous sectors of Mongolian economic governance as they prepared to make sizable loans to the country. The influence of the IMF is currently extending into a vast number of areas, including macroeconomics, national ministries, as well as Ulaanbaatar municipal budgets. One area that had implications across these areas was the IMF’s current recommendations for the systems of financialisation that have made Mongolia’s 8% mortgage (ipotek) program possible through Mongolia’s secondary mortgage market. As part of their recommendations, the management of Mongolia’s secondary mortgage market is being transferred away from Mongol Bank (the Central Bank of Mongolia), to the government, in particular, the Ministry of Finance (IMF 2017, 15 and 67). This has come as part of redefinitions and restructurings of the role of Mongol Bank vis a vis the Mongolian government, that has been cemented through the recently passed amendments to the töv bankny tuhai huul’ or the Law on the Central Bank of Mongolia. Part of these restructurings has been attempts to increase the central bank’s independence from government, including limiting its influence in state budgets, and putting measures in place so that it can better act as an agent of government, more involved in price stability rather than inflation and exchange rates (IMF 2017, 44). Talking with people and reading about these types of restructurings brought into view different anticipatory conceptual ideals of what an economy or financial arrangements should look like or become. The IMF recommendations followed their Safeguards Assessment of 2017, an initiative that encourages standardisation of central banks internationally. This forms part of a much longer history of central banks worldwide becoming institutions that adhere to the ‘rules and rhythms of the market’ rather than political influence (Bear 2015, 190-193). 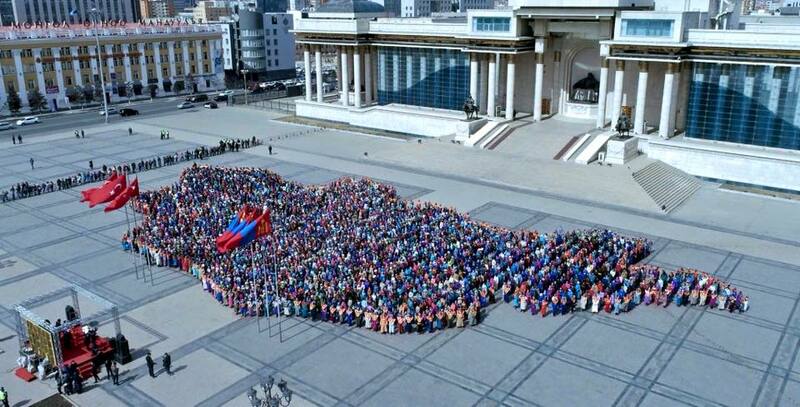 Mongolian parliament member D. Damba-Ochir, quoted in news outlet montsame.mn, stated that the amendments to the law on the central bank will encourage togtvortoi baidal or stability in times of financial crisis (ediin zasgiin hyamral). Another person I spoke to said the move to transfer the ipotek program to the Ministry of Finance was done to encourage sustainability. Hearing these updates at the end of 2017 gave me an opportunity to reflect upon other perceptions on the roles and make-up of Mongolia’s secondary mortgage market and the ethics of mortgage provision. It also gave me a chance to reconsider the links between these factors and the ways this scheme has unfolded and manifested throughout areas of Mongolia’s systems of financialisation, built environments and personal spheres. During the course of my research from 2015-2017, different manifestations of economic ideologies have proliferated throughout the entangled assemblage of actors that comprise Mongolia’s banking and construction sectors. Through following different, interlinked forms of monetary circulation (möngönii ergelt) that allow people to access apartment mortgage financing, what I was alerted to were the different and sometimes (but not always) competing perceptions of how things should be and how the housing ‘market’ should be formed. Out of the multiple influences of a slowly emerging housing finance program during the 2000s, initiated partly through assistance from the Asian Development Bank and USAID, as well as a hugely increased housing stock brought on by Mongolia’s speculative boom in foreign direct investment from 2009-2012, Mongolia’s mortgage ipotek system was launched in 2013 as an attempt to reconcile the huge demand for housing and the lack of affordable mortgage financing then available. This mortgage system, run by the Mongolian Mortgage Corporation (Mongolyn Ipotekiin Korporatsi) (MIK), provided an interlinked secondary mortgage market through funds issued by the Central Bank of Mongolia to participating commercial banks, allowing them to issue 8% interest ipotek (mortgages). The 8% interest ipotek is the only kind of more affordable form of housing finance available on the market in Mongolia. It is also quite new. The alternative, for apartments bigger than 80sqm, is to take out a oron suutsnii bankny zeel (apartment bank loan), a loan drawn from savings within commercial banks themselves (savings-based loan), which is often offered at 17-20% interest and a shorter time frame in which to pay it back. 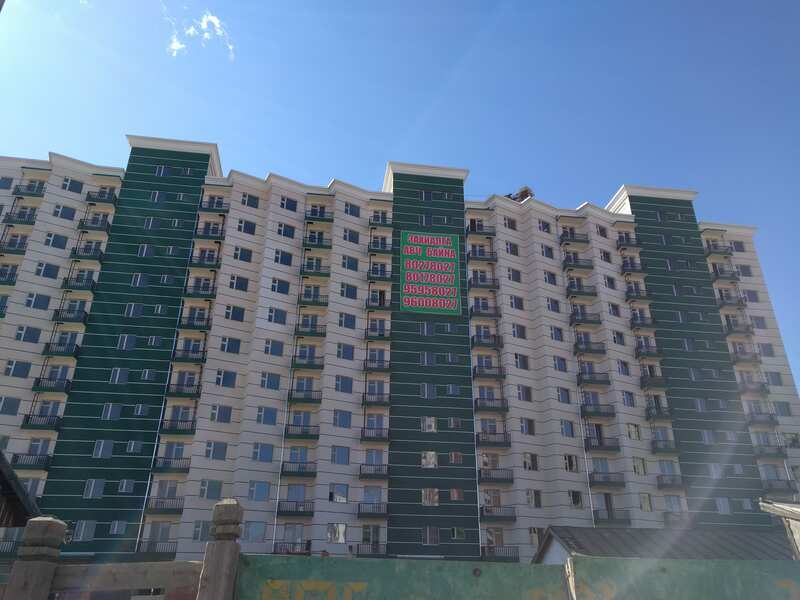 For the 8% interest ipotek mortgage, the 30% deposit and the considerable employment history required in order to qualify for it means that this option often does not meet the intended market of low-middle income buyers, nor has it allowed a great deal of people from the peri-urban ger areas of Ulaanbaatar to access apartments. However, among people who can afford it, the demand has been, and remains, extremely high. However, due to a depreciation of the Mongolian tögrög and a lack of funds to inject in the system, the issuance of the 8% ipotek loan from the central system has been varying, including it being paused at the end of 2015, and resumed in varying ways at different points since. Discussing 8% ipotek mortgage issuance with loan officers at different banks in November 2017, I was informed about the high demand for these mortgages and the fact that some customers are still waiting for money to appear even though their mortgages had been approved a year ago. Attempts to meet this high demand have given rise to different kinds of monetary circulation in order to make this possible. Expanding beyond the secondary mortgage market, within Mongolia the systems of financialisation and monetary links comprise of an ever-expanding set of circulations, arrangements, exchanges and connections. While the economy has stalled, the 8% interest mortgage has remained a kind of idealised form of housing finance regardless of the changing nature of the systems that support it or the fluctuating levels of funding different economic institutions receive. Figure 1: In January 2017, a construction company advertises a variety of different and flexible conditions on acquiring an 8% interest mortgage through their partner bank, including items that can be accepted in lieu of a deposit. They promise a ‘quick decision’ on apartment loan applications. Considering the construction company’s role in promoting arrangements like this expands our understandings of how Mongolia’s secondary mortgage market can be conceptualised and redefined. During fieldwork in 2015 and 2016, construction companies were often engaging in forms of bartering of cars and building materials in order to complete projects and sell apartments. Collaborating with banks forms another aspect of doing business. Such a collaboration between a bank and construction company that provides a different way of financing of a singular (relatively) affordable option allows banks to continue to participate in a form of mortgage financing in the hope that the secondary mortgage market will become increasingly reliable. The idealisation of 8% interest ipotek mortgage extends not only for its ability for a wider group of non-elite people to buy apartments, but also an idealisation of the system itself and what it can bring to the Mongolian economy. Echoing in a different way the IMF stance outlined above, one loan officer told me the secondary mortgage market could ‘ediin zasagiin zöv goldrild oruulah,’ or ‘turn the economy onto the proper course.’ While people are also skeptical of the different arrangements making mortgage financing possible, in the minds of many people the system initiated by the Central Bank exists in its potentiality as much as its practice. Mongolia’s secondary mortgage system is quite new, and like other arrangements and entanglements that make up the mortgage market, it is still in the making. In the meantime, people rely on other connections (Narantuya and Empson, forthcoming), that support this system from within (Maurer 2012, 414). Its proposed transfer to the Ministry of Finance in September 2018 (IMF 2017, 47), will form another substantiation of this network’s financialisation that will undoubtedly give rise to new political and economic relationships, connections and circulations. These, like other forms of financialisation, will further shape this nascent but important network and continue to expand and give rise to different economic ideologies within Mongolia. I’d like to sincerely thank Batbayaryn Erdenezayaa for her assistance with this research. Bear, Laura. 2015. Navigating Austerity: Currents of Debt Along a South Asian River. Stanford, California: Stanford University Press. Bumochir Dulam. 2016. 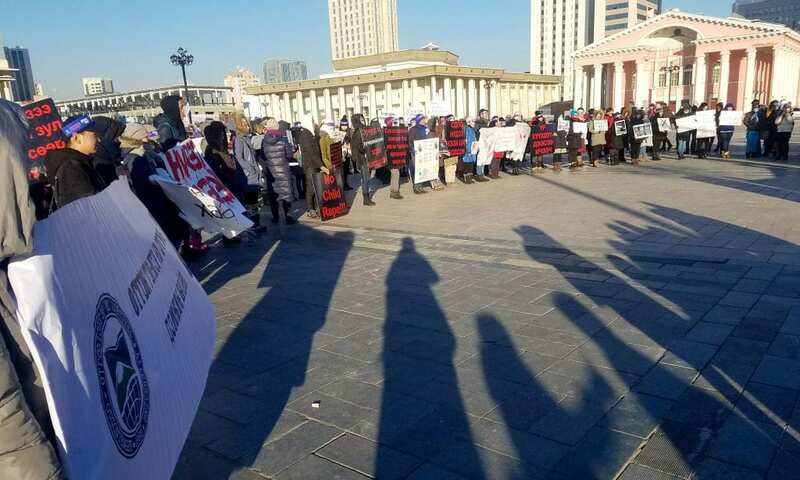 “The Politics of the Mortgage Market in Mongolia.” Emerging Subjects Blog, 29th January 2016. https://blogs.ucl.ac.uk/mongolian-economy/2016/01/29/the-politics-of-the-mortgage-market-in-mongolia/. Accessed 5th February 2018. Maurer, Bill. 2012. “The Disunity of Finance: Alternative Practices to Western Finance.” In The Oxford Handbook of the Sociology of Finance, 413–30. Oxford: Oxford University Press. Narantuya, C. and Empson, R. (Forthcoming) ‘Networks and the Negotiation of Risk: Making Business Deals and People among Mongolian Small and Medium Businesses’ Central Asian Survey.